Athletes will head east on Via De Luna to Avenida 10. They will enter the scenic beach neighborhood. Water stop will be located at mile 1 and mile 2. 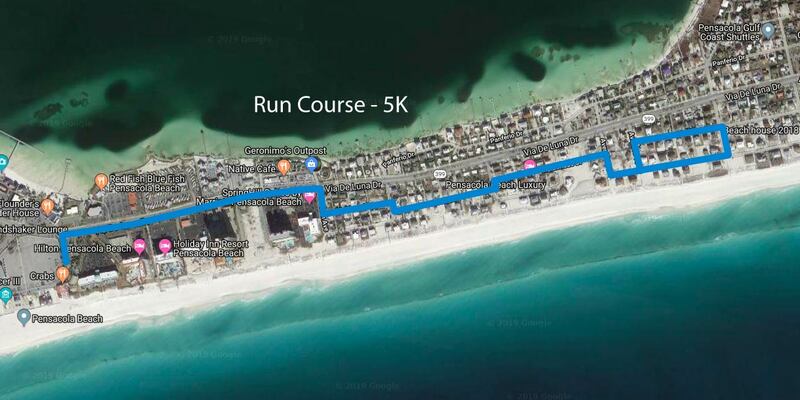 ​Athletes will come back by way of Via De Luna and enter the finisher's chute in front of the Gulfside Pavillion. The bib number must be displayed on the front of the athlete during the run segment of the event.